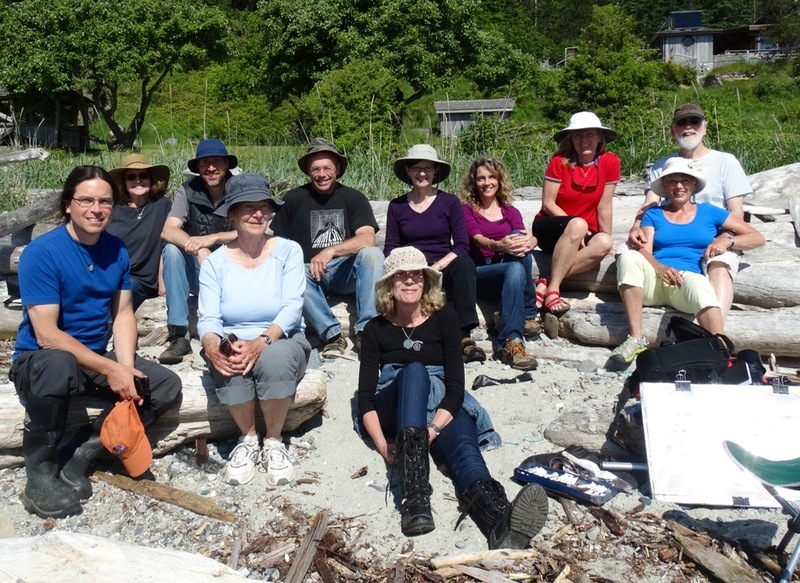 It was a real pleasure to provide a watercolour workshop atHollyhock , "Canada's lifelong learning centre", on Cortes Island , BC, a few weeks ago and paint with a fine group of artists. The contemplative ambiance, facility , lodging and food was excellent as well as the variety of subjects to paint. After an early sunrise, participants had the opportunity to join in a yoga/ body work sessions before breakfast. Then we startedwithsome demos and paintedon the beach in the morning, following the tide lines. After lunchthe artist's had the opportunity to continue working or go explore the island . By 3pm sessions resumed to capture the afternoon light . Then again after another healthy buffet dinner we would have another painting session that would continueinto dusk. Along with the stunning beach, the gardens and forest trails were also a fine source of inspiration. The only problem was that the 4 night workshop went to fast! 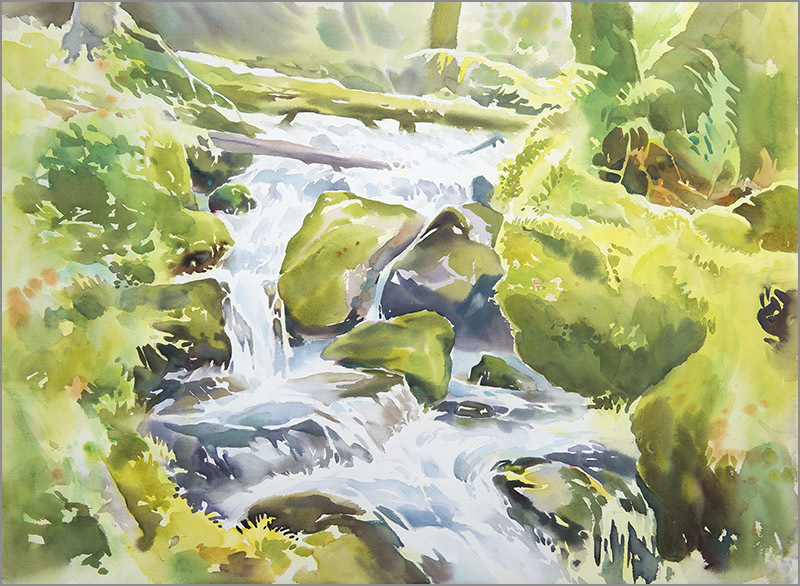 So we are happy to announce another watercolour workshop again next yearwith and extra day. Explore the magical flowing spontaneity and essential techniques of this travel friendly medium. Discover painting as a form of meditation and “seeing”, allowing you to capture the moment with paper and brush. All levels welcome. All inclusive accommodations and meals charged separately. Registration should start by mid November 2014 , please feel free to contact us to be notified when registration begins. "Painting on the beach at Hollyhock"
"David giving a demo on the beach at Hollyhock"
"Working into the underpainting and learning to control the hard and soft edges of the mountain and cloud shapes." 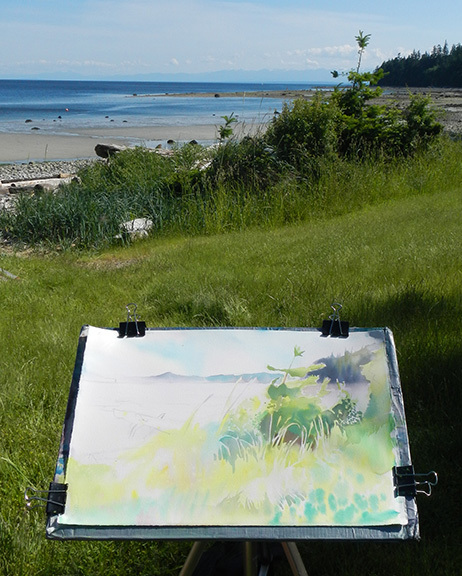 "Painting the shoreline grasses, an excersise in negative shape reading, and staying cool in the shade!" "Some of the fine watercolourists!" 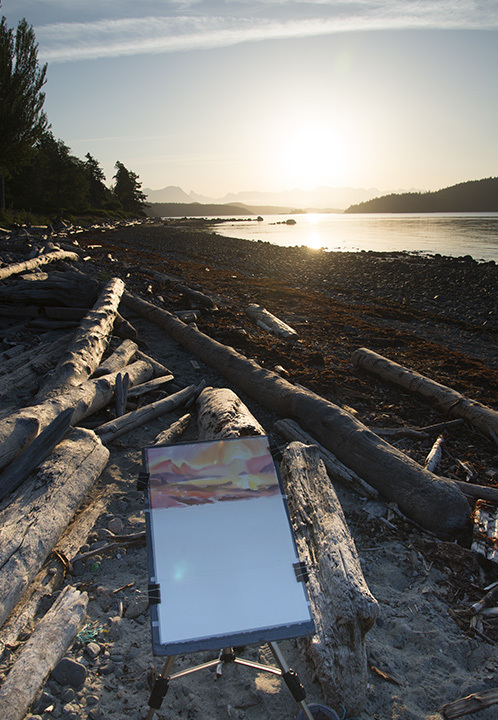 "Sunrise painting from Cortes Island"